As you go into the Civic Centre, go through the main entrance and up the right hand stairs that lead up to the council chamber. 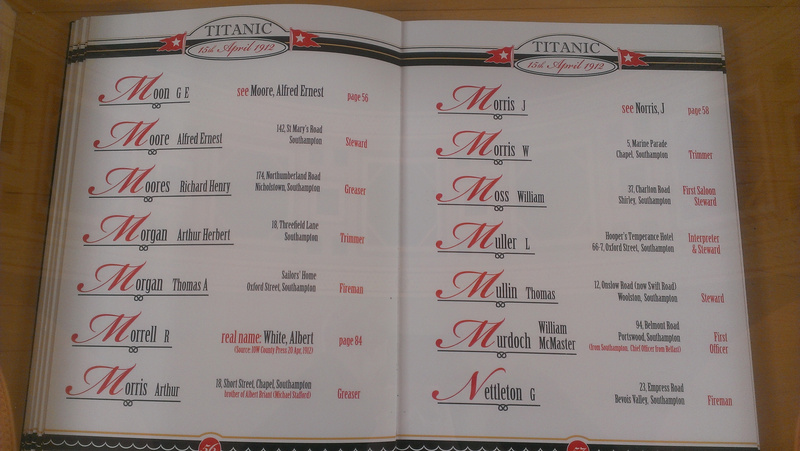 At the top on the wall is the memorial plaque to the postal workers on the Titanic. It had originally been placed in the main post office but was moved a few years ago. 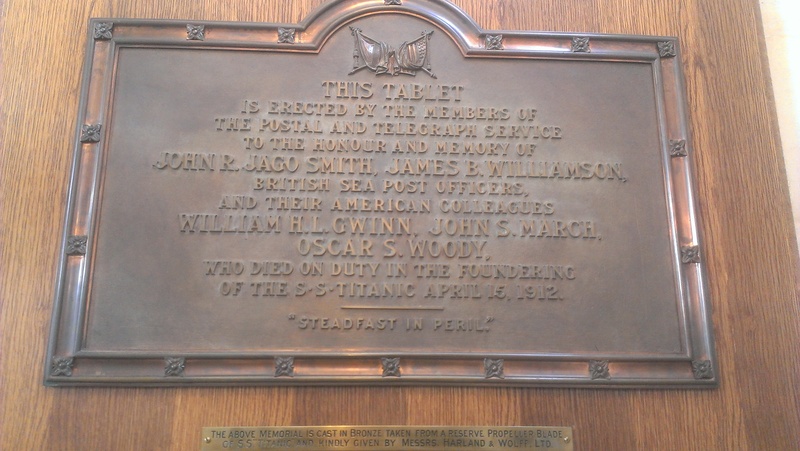 The plaque was cast in bronze taken from one of the Titanic's reserve propellers. 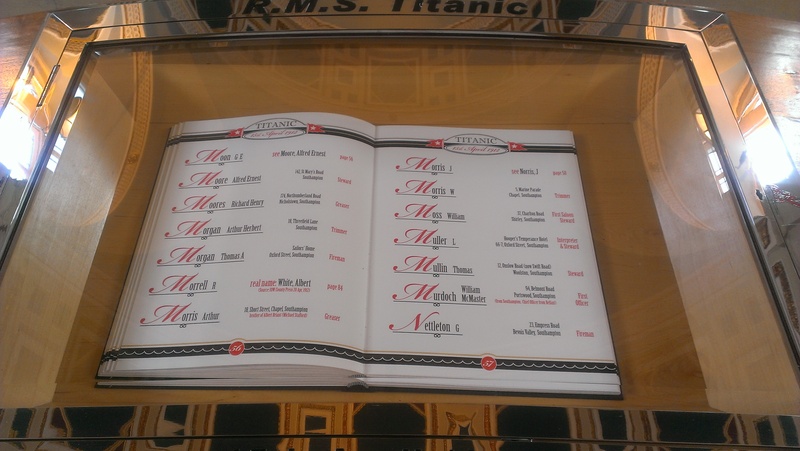 If you turn to your left and across the landing you will find a commemorative book listing all the ship's crewmen.